Sue teaches in an automatic car. 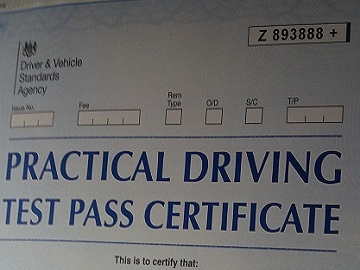 It makes learning to drive easier and it's ideal for those that have tried and previously struggled in a manual car. 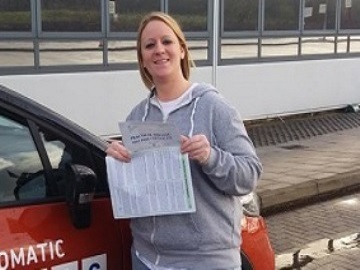 Sue is a very patient and understanding lady and she will support you 100% until you get your licence! Three words to describe me: Happy go lucky! If I won the Lottery I would… Move to somewhere hot! 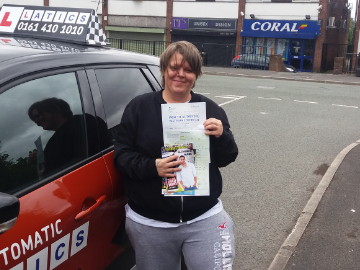 Sue gives automatic driving lessons in Oldham, Chadderton, Bardsley, Lees, Waterhead, Middleton, Royton, Shaw, Failsworth, Newton Heath, Sholver, Hollins, Hollinwood and Limeside. “I am just writing to you to say how amazing my instructor, Sue Birkett has been. 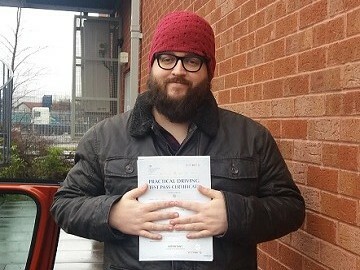 On Wednesday 25th April 2018, I finally passed my driving test. I can honestly say I don’t think I could have done that without the help and guidance of Sue. 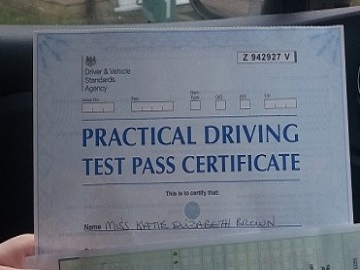 Due to circumstances I had to stop my lessons for a while and has taken me a while to pass. However, I can say that she is extremely understanding, patient and I think in my opinion one of the best instructors. I have gained confidence and also a friend! Highly recommend Sue to anybody who’s looking to take lessons. “I would highly recommend Sue Birkett to anyone who is planning on doing automatic lessons! She is patient, friendly and puts you so at ease. I was very nervous on my first lesson and she helped me gain confidence I needed behind the wheel.She never gave up on me when it took me forever to reverse around a corner ha-ha! She explained everything I needed to learn in detail so I knew what I had to do! Thank you Sue without you I don’t think I would ever off gained the confidence I needed and of passed my test! “She told me everything I needed to learn and the things that I needed to concentrate on the most. Sue is very calm and explains everything in great detail so you understand what she is going on about. She doesn’t rush you at all, I could take all the time in the world on whatever I was learning and she wouldn’t mind, she just wants the best out of you and makes learning easy and understandable. I would recommend Sue to anybody who wants to do Automatic tuition. I found that working with her was very relatable and no nerves at all! 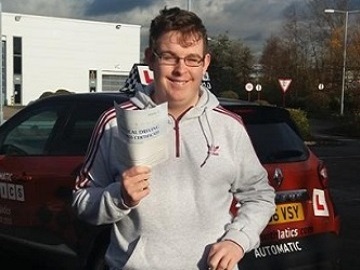 “I have just passed my driving test on the first attempt after only 9 lessons (10 hours) with Sue Birkett, and did so with only 4 minors. I never would have imagined that I could learn to drive and pass so quickly. When I first started my lessons I was extremely nervous but Sue put me at ease straight away. I struggled with my nerves for the first few lessons but she was very patient and made me feel much more relaxed. 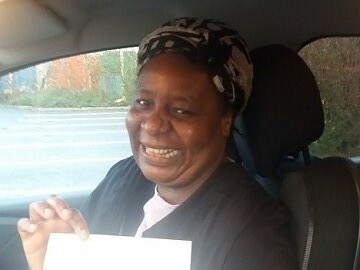 Sue had confidence in me and my driving ability and that made me have confidence in myself. She explained everything I needed to know in a way that made it simple to grasp and easy to remember. Sue was also very understanding and flexible when it came to my lesson times, I have a 1 year old and sometimes would need to alter my lessons and this was never an issue. I would like to thank Latics and Sue for giving me a new sense of independence. I have been waiting 13 years to take driving lessons and I am glad that it was Sue that taught me to drive. I would 100% recommend choosing Sue for your driving lessons. “I had gone through a few instructors and I was about to give up because most of them didn’t have patience. So when I joined Latics my life changed, instead I felt like doing a lesson everyday. Sue is an instructor with so much patience she changed me from a nervous wreck to a strong woman, I never thought I would pass until the day I chose Sue as my instructor. Sue you have one gift that God has given you and no man shall take away from you and this is patience. Great job Jacob only 2 faults! Great pass only 1 fault! 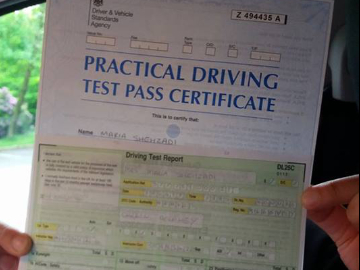 Fantastic 1st time pass Kelly! 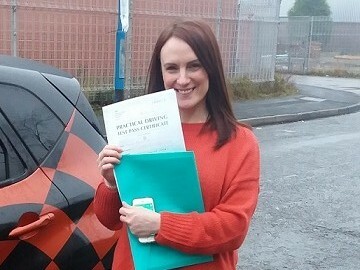 Fantastic 1st time pass Jessica! Amazing just 2 driver faults!